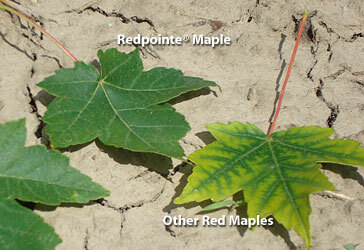 A Redpointe® Maple leaf and the leaf of a typical red maple demonstrate its superior resistance to leaf chlorosis. 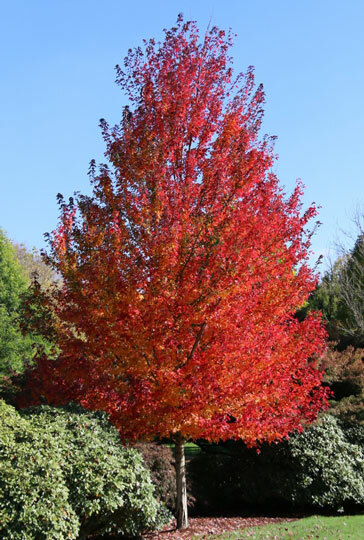 This condition is a frequent scourge of red maples when grown in high pH soils, causing foliage to yellow and often burn in summer heat. Click here to find our partners.